Are you a college student who loves the look of high-end designer fashion? If so, you probably have a hard time paying for both college costs and the chic look that you desire. When I heard about Last Chance, a final-clearance store for returned and overstocked merchandise from Nordstrom, I thought it had to be a dream come true. When first walking into Last Chance, I noticed racks upon racks of dresses, shirts, pants and coats. 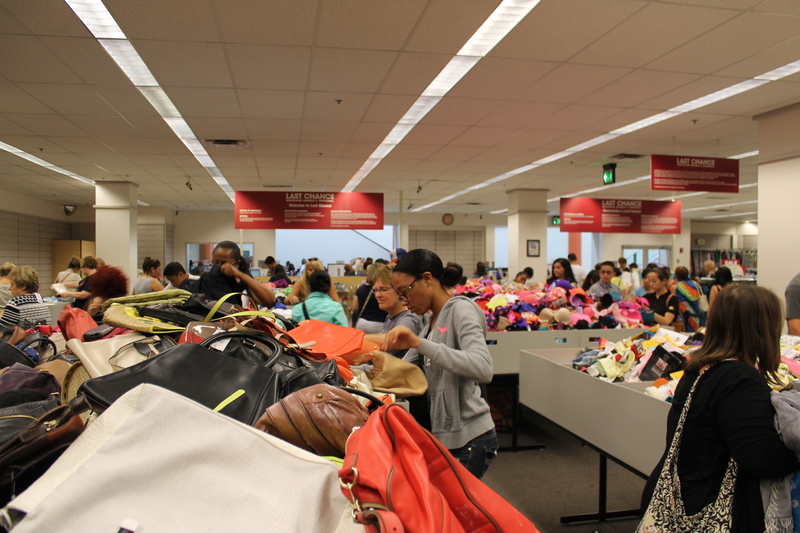 There were large crates full of purses, wallets and even undergarments. If you are looking for a calm and personalized shopping experience, this store probably isn’t for you. A trade-off for the good prices is that the store is typically very crowded and hectic. Although it takes some searching, you can find some deals (or rather, STEALS) for less than 10 percent of what they originally cost. 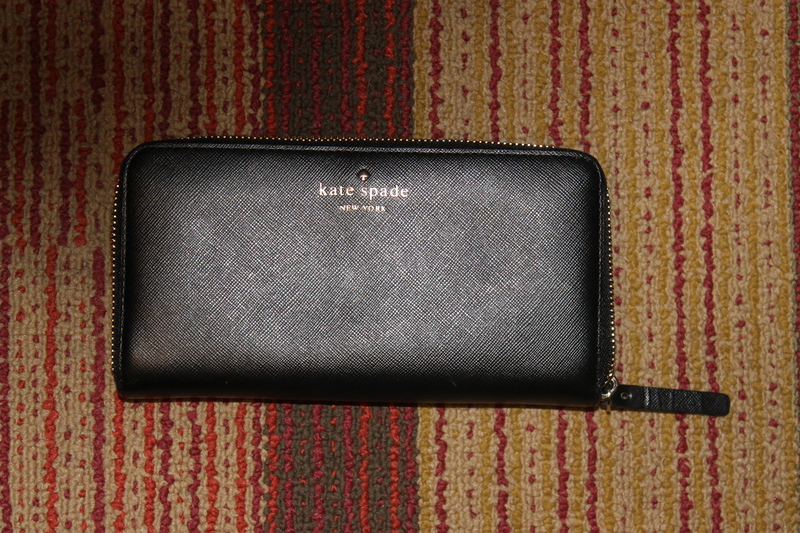 I bought this Kate Spade wallet, which retails on Nordstrom.com for $198, for a fair price of $44.97. 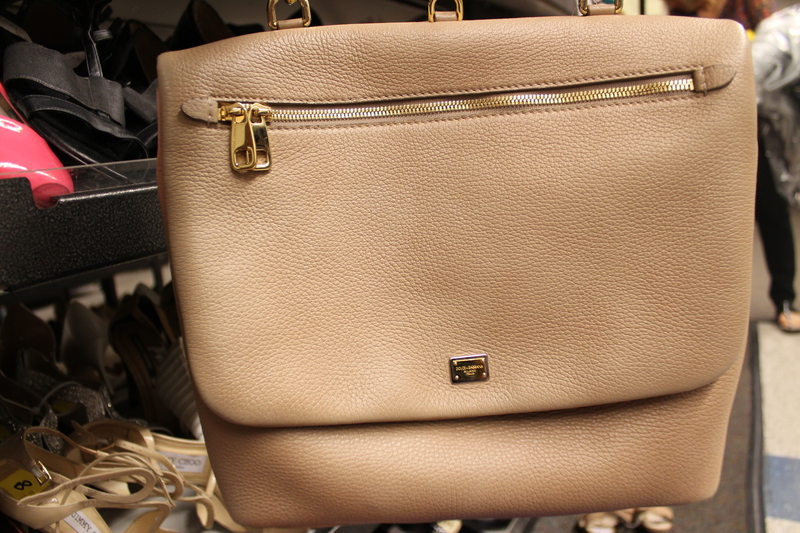 After fishing through the purses for awhile, I found this Dolce & Gabbana bag with a price of $543.97. Although that is still way too expensive for my budget, new D&G bags typically cost more than $1,000. These Cole Haan oxfords looked totally ready for the fall season. You could pair them with a cute dress and a scarf, or just wear them with jeans and a sweater. These were on sale for $49.99 and they typically sell at Nordstrom Rack for $149.99. I found this store exhilarating and exhausting at the same time, and I definitely will go back for more. I hope I helped you find a new way to be fashionable on a budget at stores like Last Chance. Happy shopping!